If Vancouver were able to beat other competitors like Toronto, Chicago, New York, Boston, San Francisco, and Los Angeles, the economic and social impact of Amazon’s second headquarters on the Metro Vancouver region would be astonishing. Amazon announced today it is seeking bids from North American cities interested in becoming the location of its second headquarters. This entails a $5-billion office complex that could grow to 8 million sq. ft. in size within a number of buildings and employ as many as 50,000 people in high-paying positions, with average annual salaries reaching over $100,000. “We expect HQ2 to be a full equal to our Seattle headquarters,” said Jeff Bezos, Amazon founder and CEO. 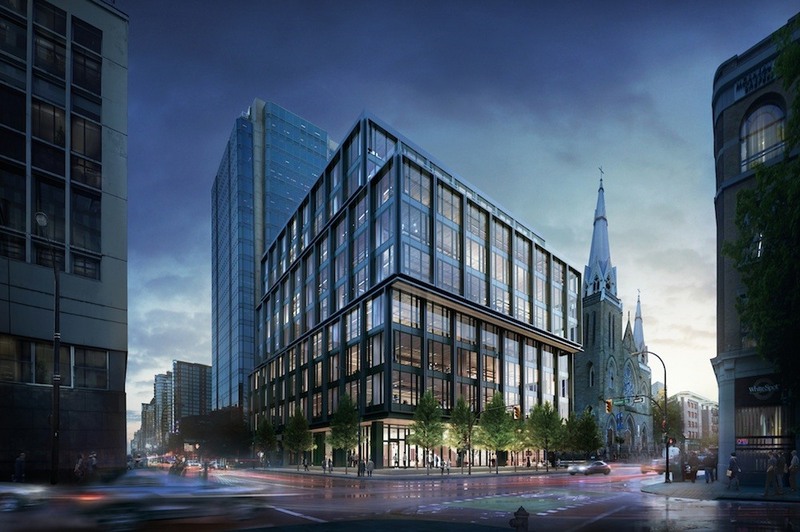 In terms of the proposed surreal size for the second headquarters, it will be equivalent to four times the floor area of the entire five-tower Bentall office complex or half of downtown’s current office space stock of about 17 million sq. ft. It would increase the number of jobs in downtown Vancouver by over a third. And fortunately, Vancouver’s leaders and economic officials are immediately taking notice. Vancouver Mayor Gregor Robertson is just one of a growing number of mayors in major North American cities to state their interest in giving the tech golden goose a home. Officials with the municipal government’s Vancouver Economic Commission (VEC) say they are acting quickly and are evaluating the requirements ahead of putting together a formal proposal. 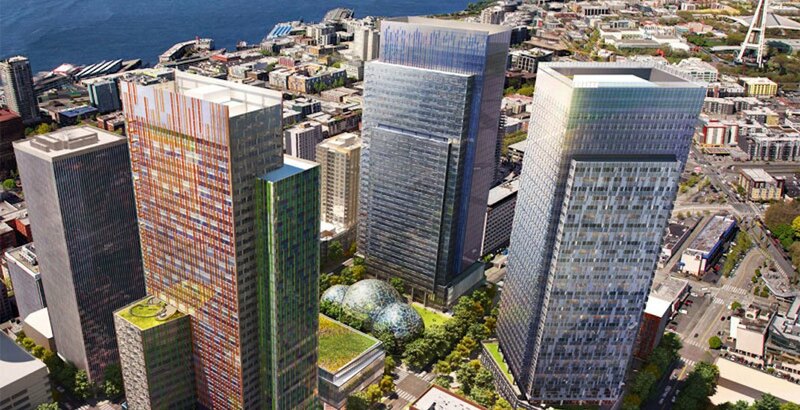 “The Vancouver Economic Commission is reviewing the Amazon HQ2 RFP with the intention of putting forth a proposal in partnership with the City of Vancouver and other stakeholders,” said Ian McKay, CEO of the VEC, in a statement. Prospective cities are required to submit their proposals to Amazon no later than October 19, and a selected city will be announced sometime next year. Amazon requires a metropolitan area with more than one million people, and with 2.5 million people already living in Metro Vancouver this basic requirement has been met. According to the request for proposals (RFP) document, Amazon also necessitates the location have a stable and business-friendly environment with urban or suburban locations with the potential to attract and retain strong technical talent. A region with a highly educated labour pool and a strong university system is needed to meet its expansion recruitment requirements. But the headquarters complex does not have to be an urban or downtown campus, nor does it need to be modelled after the layout of Amazon’s Seattle campus. 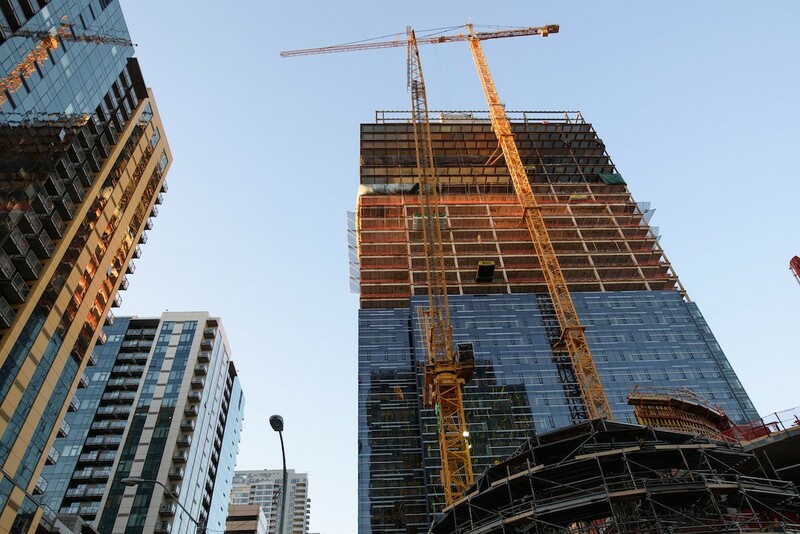 The company states it prefers ready-to-build greenfield and infill sites or retrofitting and expanding existing buildings, if it can be done within an acceptable budget and time schedule. “Amazon will prioritize certified or shovel-ready greenfield sites and infill opportunities with appropriate infrastructure and ability to meet the Project’s timeline and development demands, as set forth below,” reads the RFP. Moreover, the site needs to be within a 48-km distance away from the metropolitan region’s downtown core, within 45 minutes from a major international airport, no more than 3 kms away from a major arterial road or highway to provide optimal access, and located immediately next to public transit – buses, rail trains, and subways. Amazon is not shy about asking governments to include proposed incentives in their bids, including tax credits and free or reduced land costs. 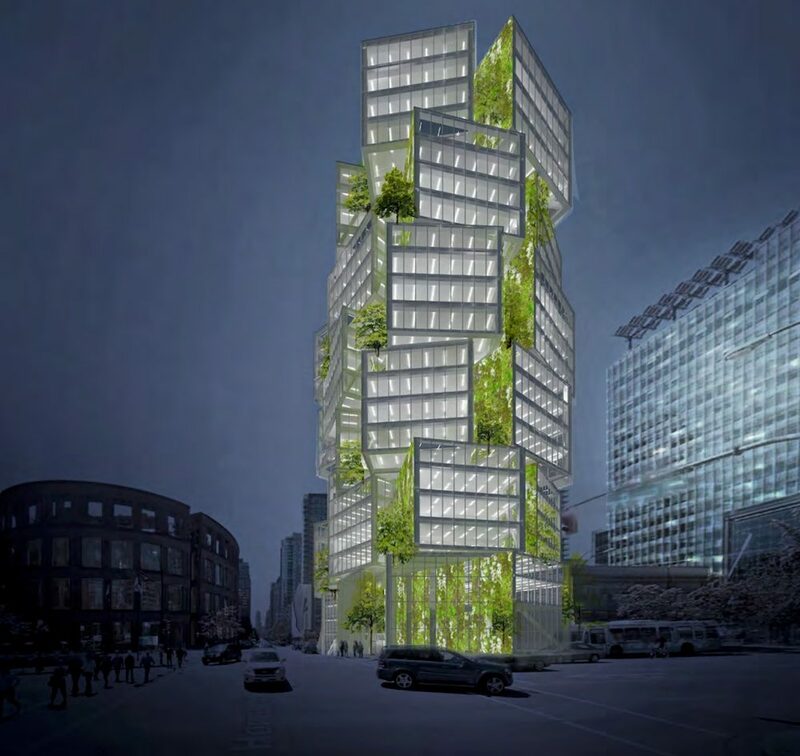 There is also a high emphasis on a sustainable and energy-efficient design – a standard for Amazon’s new buildings elsewhere in the world – for its second headquarters. It will not be built overnight. Amazon states its second headquarters will be built over multiple phases beginning in 2019 with an initial 500,000-sq-ft presence. It is estimated the first phase will cost between $300 million and $600 million to construct. The second phase will have a floor area of between 1 million sq. ft. and 2 million sq. ft with a cost of between $600 million and $1.26 million while the third phase will span between 2 million sq. ft. and 3 million sq. ft. with a cost of up to $2 billion. Future phases beyond the third phase will “grow organically”. It is anticipated the first three phases will follow a construction timeline of about 15 years. According to Amazon, it employs approximately 40,000 people at its headquarters within 33 buildings in downtown Seattle, and its presence and operations in the city core since 2010 have generated another 53,000 jobs. It also claims to have had a major role in attracting other Fortune 500 companies in the tech industry to Seattle: The number of Fortune 500 tech companies in the city rose from 7 in 2010 – when Amazon moved to downtown Seattle – to 31 in 2017. The company has made $38 billion in additional investments in the local economy as a result of its direct investments and increased the personal income of non-Amazon employees by $17 billion as a result of its direct investments. 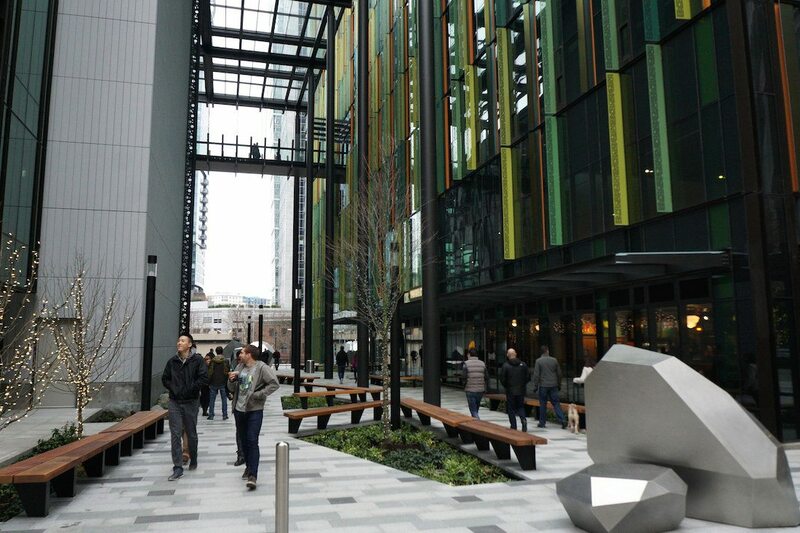 It has been a catalyst for development and economic activity in Seattle, with dozens of restaurants, cafes, and other services sprung up near its headquarters. The hospitality industry has benefitted as well as “Amazonians” and their guests accounted for 233,000 annual hotel nights. But the sudden influx of tech workers has also caused traffic congestion and caused real estate prices to surge. The median price for a house in August in Seattle increased by nearly 17% in a year to $730,000, according to the Seattle Times. Two years ago, Amazon established a major presence in downtown Vancouver by occupying a 91,000-sq-ft space within the newly completed TELUS Garden office tower. This initial space is designed for up to 1,000 employees. 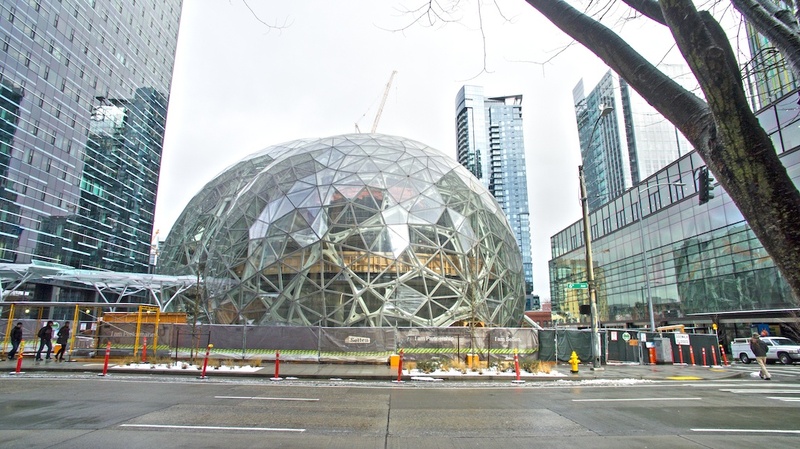 There has been speculation the company intends to create a mini-Amazon campus in downtown Vancouver through the construction of additional buildings in the area around TELUS Garden. Sources tell Daily Hive the proposed office buildings at 400 West Georgia (the Budget Car & Rental site) and 401 West Georgia (at the corner of Dunsmuir Street and Homer Street) are slated to become Amazon buildings.